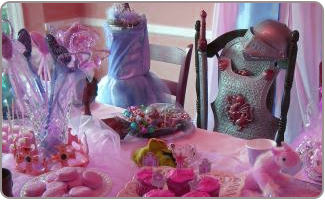 A princess and knight party is a super way to host a party that both girls and boys will enjoy, together. 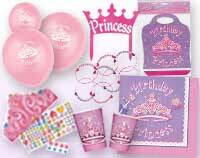 Whether you are hosting a princess and knight birthday party for boy and girl twins, or just because all party guests will have a great time, there are lots of boy girl party ideas that will ensure your party is a blast. Invite equal numbers of boys and girls so that it'll work out nicely when you are playing games. Plan the party several weeks in advance of the birthday party date, a minimum of four to six weeks. 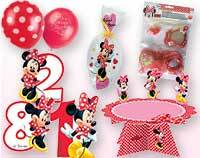 This will give everyone the opportunity to jot the date down on the calendar, RSVP, and also give you ample time to get your princess and knight birthday party supplies ordered and delivered on time. 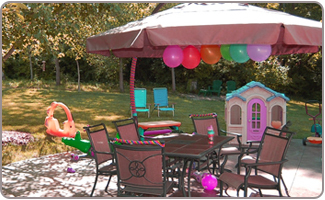 Hosting a princess and knight party in your home, with lots of backyard space to run around is ideal. But if you are short on space then a banquet hall, rec center, or area park offer affordable alternatives. Recruit help from other parents who are willing to accompany and supervise at the party. This will help you to focus on ensuring everyone has a good time, without neglecting anyone; especially if the boys and girls will be playing different games and doing different crafts. Start with some construction paper and a template to cut out the shape of a knight's shield or family crest. On one side of it, decorate the invitation with themes familiar for a knight, like swords, dragons, suits of armor, and knights dressed in full gear. Decorate the other side with embellishments perfectly suited for a princess, including sparkling tiaras, dazzling gowns, and a royal scepter. 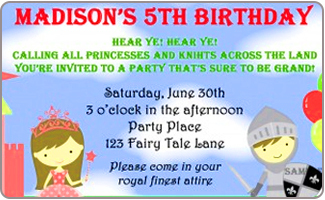 Some prepackaged princess and knight birthday party invitations can help to save you some time in prepping for what is sure to be a very busy party. Be sure to pick up some thank-you cards while ordering your invitations. Keeping things simple can sometimes be the best step, so consider creating invitations with the top half in pretty princess pink, featuring a pink princess, with the lower part of the invitation featuring a knight and a dragon! A castle is a great choice for outline for your invitation. Feature the princess in one of the windows, and her knight standing below the window, which some cute phrasing to the effect of "Join us for a fantasy celebration!" or "Hear ye, hear ye! 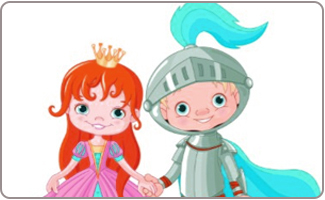 Knights and princesses, join us to celebrate a royal birthday!" Attach a princess tiara to invitations going out to little princesses, and little foam swords to the invitations going out to the little knights. Set up craft stations for the kids to create shields, swords, tiaras, and royal scepters that they can decorate with markers, glitter, stickers, and more. Create a coloring wall using large sheets of papers. Use pencils to draw the outlining of of objects like a princess, knight, princess wand, knight’s sword and dragons and let the kids loose on the walls with crayons! Kids would love to do that since they are never allowed to color walls freely. 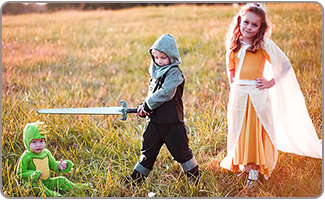 Play a game of tag where the children take turns being a knight chasing down dragons to slay! A game of tug of war is always a lot of fun. Divide the party guests up into teams of two and place a green dragon in the middle as the spot they cannot cross over! Either create a dragon using construction paper, or use a plush dragon. A good old knight's quest to rescue the princess from the dragon is always fun. Set it up like a treasure hunt, with clue towards the next step in rescuing the damsel in distress! Let little royalties enjoy classic pinata game. 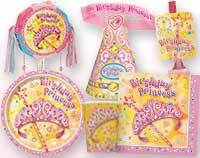 Hang a pretty princess pinata, fill it with candies and other goodies to shower upon party guests. A scavenger hunt is a lot of fun, with items like chocolate gold coins scattered around, plastic dragons, and other themed goodies offering a lot of fun for all. Hand out to each person a toy frog and a tiara to represent both characters in the tale. 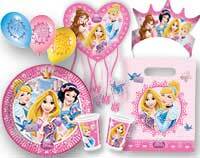 Choose princess and the frog return gifts from our great selection of princess party accessories to fill a bag of goodies for each guest. A copy of the Disney movie is a very special and fun party favor for each guest. 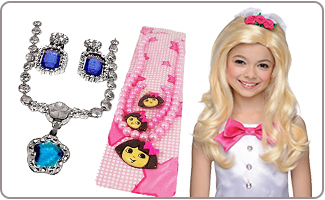 No princess is happy without a selection of costume jewelry and other fun baubles. Apples with caramel dip, or covered in chocolate are a royal sweet treat. Butter cookies, crackers, and pigs in blankets are super culinary snacks. Skewer pieces of fruit with plastic toothpick swords. Offer sweet yogurt dip for enjoying with the fruit. A princess castle cake is a great addition to the princess and knight party, with some plastic knights and horses surrounding the castle. Some boy girl party ideas for cakes could include having a cake for each! A princess-themed cake for the girls to enjoy and a knight-themed cake for the boys to dig into. Serve fun foods like dragon wings (chicken wings), vegetables, chips, and an assortment of dips. Cardboard boxes, tape, glue, construction paper, and markers can transform into a stunning castle for the children to play in. 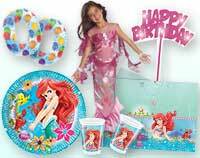 Have the birthday boy or girl help you to design the castle so that it has a touch of their imagination in it. Party balloons, banners, and streamers are a great addition to any party. 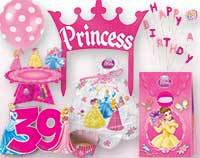 Pick some out that match your princess and knight birthday party theme. Be sure to add balloons to your mailbox so people can easily find your house. Wrap pink and white tulle around the chairs for the princesses to sit in. Some grey or black fabric can be a great choice to wrap around the chairs for the boys to sit in. 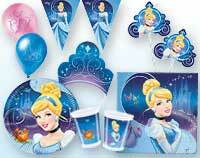 Choose from some princess and knight birthday party supplies to get the idea tablecloths, cups, plates, napkins and even crazy straws. Decorate the cups and utensils for the princesses with a few glued on sparkly gems, for an extra royal touch. Use green construction paper to create a large paper dragon. Red and orange construction paper will work nicely as the dragon's flaming breath. Create centerpieces for the party tables using stuffed toy dragons and dragon's loot. Costume jewelry and golden foil wrapped chocolate coins will help to create the centerpieces that will also double up as party favors.